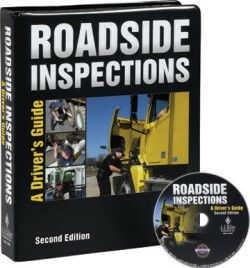 Teaches your drivers how to avoid trouble, spot danger signs, and know how to respond. Helps make sure all your new and veteran drivers are aware of the dangers they face. (1) Closed-Captioned DVD - Combines engaging video and editing technology with expertise from industry professionals at all levels. (1) Discussion Guide (Second Edition) - Features ideas for discussion and training activities. Also includes "what if" scenarios, review questions, and an answer key. 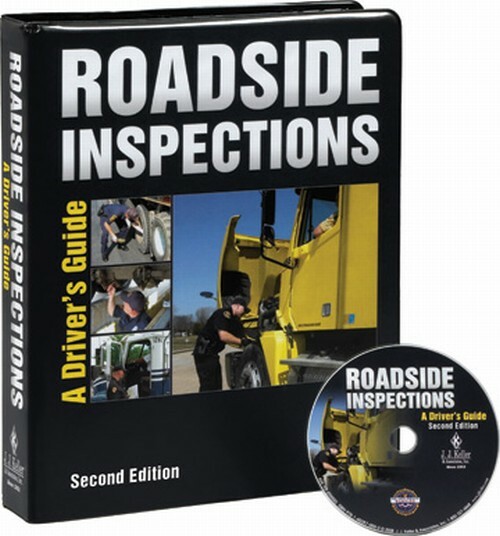 (11) Driver Handbooks (Second Edition) - Review key points of training and include a receipt page for documentation purposes. (10) Certificates of Completion - Two-ply forms aid in training documentation. (1) General Security Poster - Hangs in a break room or training room to remind drivers of security awareness. (1) Hazmat Security Poster - Keeps hazmat information visible to your drivers. Introduction - Explains that the key to a driver’s security is to always be alert. You have to be on the lookout for anything that’s suspicious or out of the ordinary. At Pick-Up Guidelines - Covers items such as checking your paperwork, supervising loading when possible, and knowing what your load consists of. Use of Trailer Seals - Reviews how the use of trailer seals can help to deter thieves and secure your load. Beware of Cargo Thieves - Explains how cargo thieves are more organized and sophisticated than they used to be … and that they can be more dangerous. Trip Planning - Reviews how planning your trip can help you avoid unnecessary trouble. Parking - Advises to keep stops to a minimum and to park in a well-lit areas and/or park back- to-back with another truck to reduce the chance of a trailer break-in. En Route Risks - Outlines basic safety guidelines to follow to minimize risk, such as not revealing to anyone who you drive for or anything about your load or your destination. Delivery Guidelines - Addresses safety guidelines during delivery to help minimize risk and potential dangers. Border Crossing - Points out that drivers with shipments to and from Canada and Mexico can expect long delays, cargo searches, and the need for multiple forms of identification. Hauling Hazmat - A discussion of key security practices for hazmat drivers. Conclusion - Summarizes key points and emphasizes that drivers have the power of reducing their odds of becoming a target or victim. Review - Provides a quick way to refresh memory on key points of the program to better aid retention. Commentary - Offers interviews by industry professionals. 400 Mhz or faster Intel-compatible CPU. Video card with AGP architecture and at least 4 MB of onboard RAM. At least 128 MB of system RAM (Windows 2000, XP and Vista users - 256 MB or more is recommended). Windows 98 SE, Windows 2000, Windows Millennium Edition, Windows XP or Windows Vista (most software DVD decoders have either reduced function or no support under Windows 95 and Windows NT 4.0). Latest version of Microsoft DirectX. DVD-ROM drive (DVD discs cannot be read by CD-ROM equipment).